Can language apps replace face-to-face language training? If you are interested in learning languages and have done some research on how you can get started, chances are you have already come across various online language learning websites and mobile apps. Language apps have become a highly popular way to learn languages. With over 120 million users, Duolingo’s success is a striking example of this phenomenon. Duolingo and other apps have successfully used gamification to make learning languages more fun. By using a video game design to capture the users’ interest and offering incentives such as obtaining more points, gamification keeps learners motivated to continue playing. The users can also share their progress with their friends and family, encouraging them to compete with each other. And in a world where time is a precious resource, mobile apps make it easy to learn a language on the go, whether the user is commuting, queuing, or having a break. So, with language apps allowing everyone to learn languages so easily and at a reduced cost, why would you need to take lessons with a teacher? While language apps effectively use gamification to make learning languages entertaining, your interest may fade in the long-term. Studying on your own requires excellent self-discipline. An experienced teacher will keep your motivation high by checking your assignments and ensuring you understand the lessons so that you don’t feel left behind. Although mobile apps and websites provide excellent tracking of what you have achieved, they very rarely provide a comprehensive view of your progression. They can only report on the exercises and tasks you have completed and the vocabulary learnt. As a result, language apps are more effective for individuals who already have some basis in the language learned. Learning a new language from scratch using only a mobile app will have limited benefits as you will have little help to assimilate the new knowledge and explanations will be limited. Despite online automated learning being excellent self-study tools, the best way to learn a language is by speaking and practising it in a real-life environment. This is especially true for professionals, businesses and institutions, who usually have more specific needs than individuals and need to focus on specific areas. This requires more advanced training that can’t be delivered only through a mobile app or a website. 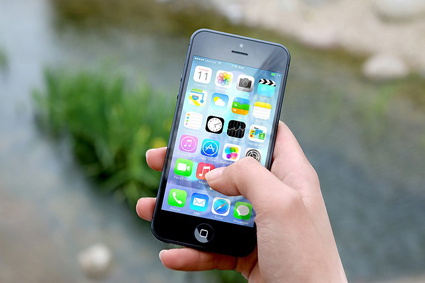 How Can Language Apps Actually Benefit Your Language Training? Although they cannot replace an experienced teacher, language apps are an excellent way to complement a language course with a real-life teacher. Self-study is a key part of any language course, and mobile apps will help you practice the language after the lessons, on your own time. Ideally, start by choosing exercises and activities that are closely related to the topics you have just learnt. This will reinforce what has been covered during your last lessons. But don’t limit yourself to this: self-study is also about learning more outside the lesson. Apps can also help you practice new topics as well as reviewing vocabulary that you have learnt a while ago. By keeping your knowledge fresh, you will be more spontaneous and more confident when using the language. Duolingo’s short series of vocabulary and translation exercices only take around five minutes to complete. This leading language app has received several awards, including the Google’s Best of the Best 2014 award, and has been nominated iPhone App of the Year in 2013. Memrise is an app and website that helps you memorise new vocabulary faster, in a fun and pleasant way. Memrise isn’t limited to languages, and if you are interested in other subjects, flashcards on science, arts and culture topics are also available. Quizlet is an entertaining and simple app and website that helps you develop your vocabulary by using or creating flash cards, word games and tests. With millions of study sets available, you will certainly find the right set for you, whether you need to practice Spanish financial terminology or Italian music vocabulary.